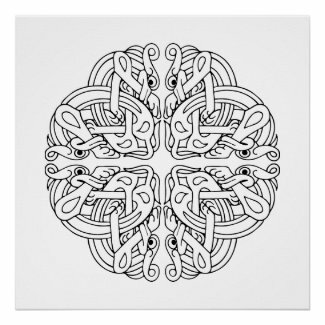 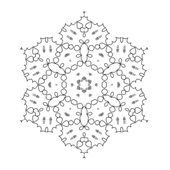 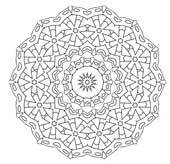 Enjoy this collection of unique mandala design coloring pages I've created for personal art hobby enjoyment, relaxation or artisan crafts. 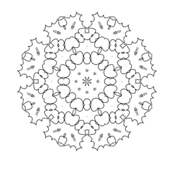 Each printable coloring mandala was created by me from my own artwork. 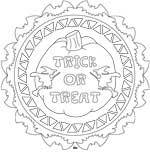 Some of the designs are simple enough for children. 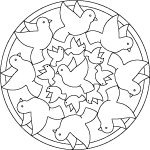 Many of the mandalas on this page will challenge even experienced colorists. 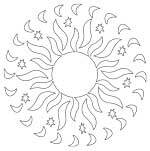 In this collection you'll find mystical and complex mandala coloring sheets, plus whimsical kaleidoscopes and simpler shapes to color or use for other crafts. 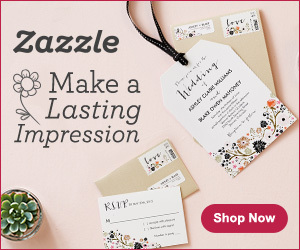 You can find many of my best designs printed on gifts, home decor, apparel, stickers, labels and lots more, at Zazzle. 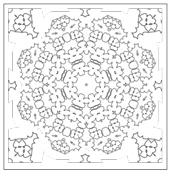 Find more printable mandala designs on this web site in our adult coloring pages collections. 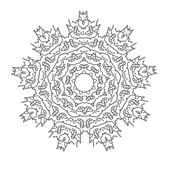 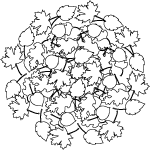 The off site links below will take you to articles I've written about coloring for adults and to more of my printable mandala designs for colorists. 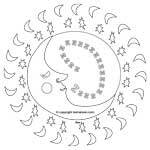 Shop on site for recommended coloring books for all ages.